or any combination to create your custom look. 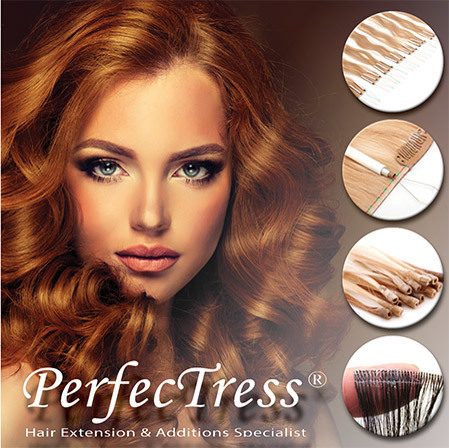 PerfecTress International is a "Fair Trade" minded company that only sources healthy and freshly cut Raw Remy Cuticle Hair that has not been long term stored, bought from other suppliers, or taken from unknown collector or unethical sources. The hair comes in 5 different textures and colors that range from natural to fantasy to highlighted. There are two different application options. Transformation connections is a non-adhesive based system that is reusable and easy to maintain. The Pefectress Tape Wefts are an improved version of the Tape method because they are reusable, comfortable, and great for fine and thin hair. Come in today for a complimentary consultation, we can create your custom look today! Extensions are for fullness too! 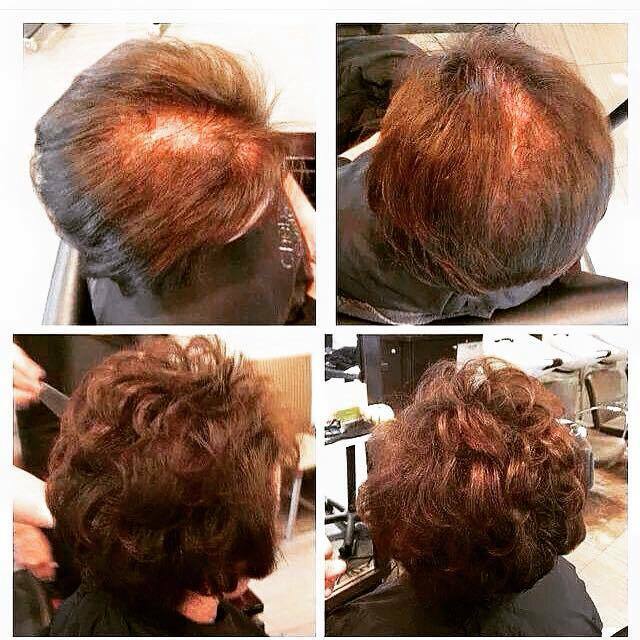 For the longest time, extensions were thought to be for length only, but with the Perectress Extension, we can fill in the sparse area on top, giving you your confidence back!